I never thought I’d say such a thing, but I really think we’re maybe getting a little too much Iron Man. I loved the original Iron Man movie because it was unique in a lot of ways, but even it teetered on sabotaging itself with the Iron Monger villain as a simple imitation of the hero. With Iron Man 2, War Machine came about as well as an entire battalion of “iron men” as villains. Now, in Iron Man 3, while the villain is an interesting, unexpected character, Tony Stark now commands at least 42 Iron Men through remote connection and we still have War Machine/Iron Patriot. As is the danger with any sequel, the protagonist is getting watered down and replicated to the point that he is no longer seen as especially distinctive, particularly when taking into account that much of his supporting cast are now “powered” in their own regard. However, even with that being said, there was something else about Iron Man 3 that bothered me a bit. It just wasn’t fun. 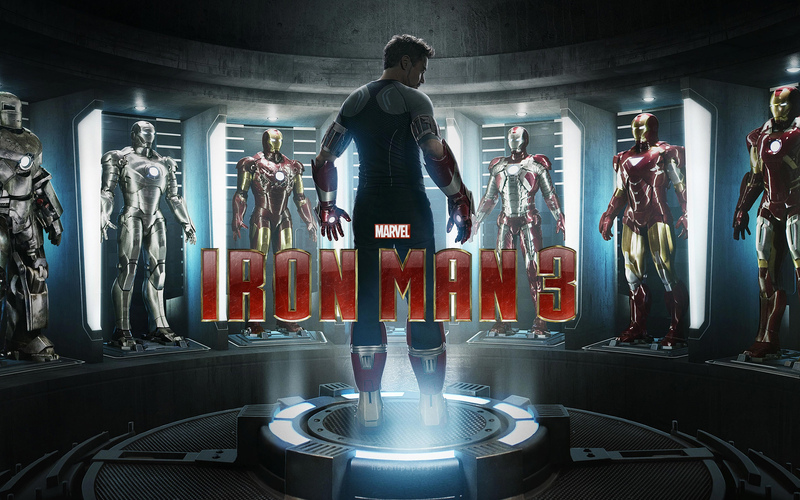 Iron Man was a blast, and Iron Man 2, though it had some storyline issues, was still really entertaining, but Iron Man 3 seemed a little morose and humorless – it certainly didn’t meet my expectations. I think a large part of the joylessness of it derives from the fact that Tony Stark didn’t really have anyone to talk to through much of the film. And when he did have a chance to talk, it wasn’t under very humorous circumstances. Don’t misunderstand, the action was incredible and the special effects impressive, and I love what they did with The Mandarin and Killian twists, and the story was fairly tight and the motivations straight forward, but it just didn’t have the same “spark” as the previous installments. One last thing bothered me about the film, and that’s the remote aspect of Tony piloting the Iron Man suit. This film derived much of its core from the comic book Extremis storyline, and in that, Tony Stark gained the ability to control his suits from afar. Just as with the book, the film ruined a lot of the adventurer aspect of the character by having him safe at one location while the suit did the heavy lifting. When Tony Stark was in mortal peril, it was often without the suit. I love Tony Stark, but I want him in the suit and, in fantasy stories, I need my heroes knee-deep in danger. Honestly, I think The Avengers handled Iron Man/Tony Stark so well that Iron Man 3 had a lot to live up to from a character standpoint, and Iron Man 3 might have come out a little too soon. Do we need a break from Iron Man for a while? Perhaps. P.S. Don’t bother sitting through the credits for the final scene. It was funny, but certainly not worth sitting around the extra time. Check it out on the DVD. It’s nonessential. This entry was posted in Movie Reviews and tagged Iron Man, iron man 3, killian, Movie Reviews, the mandarin, Tony Stark.